This is Laurigami here, sharing with you my new card, I used " Ice Princess". 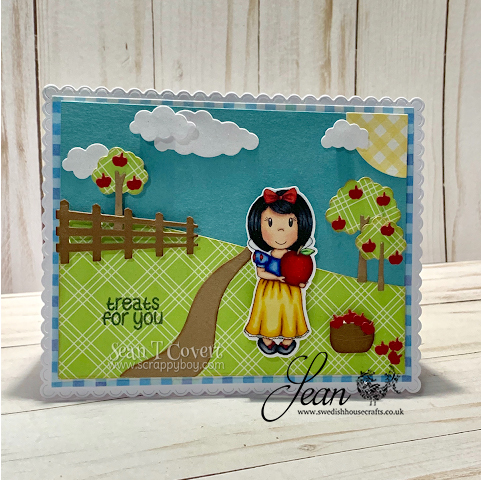 Hello everyone, Sean here to share with you my newest card using the SUPER cute Princess and Apple from Paper Nest Dolls, carried by Swedish House Crafts. If you'd like to see more of my work, please go to my blog Scrappy Boy or you can check out my Facebook page Scrappy Boy Los Angeles. Isn’t she SOOOO cute!!! 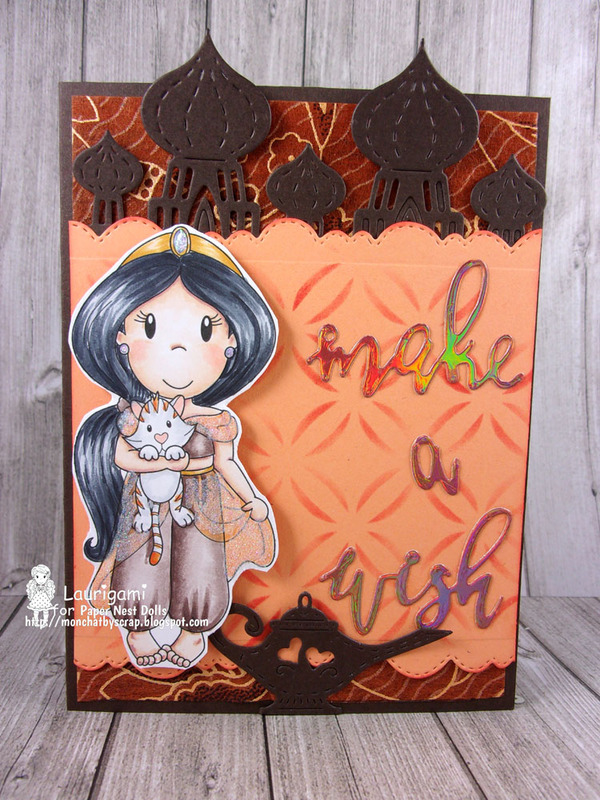 I used a scalloped edge die and cut it twice, scoring the back piece 1/4” and adding a little adhesive. Then pressed the 2 pieces together. 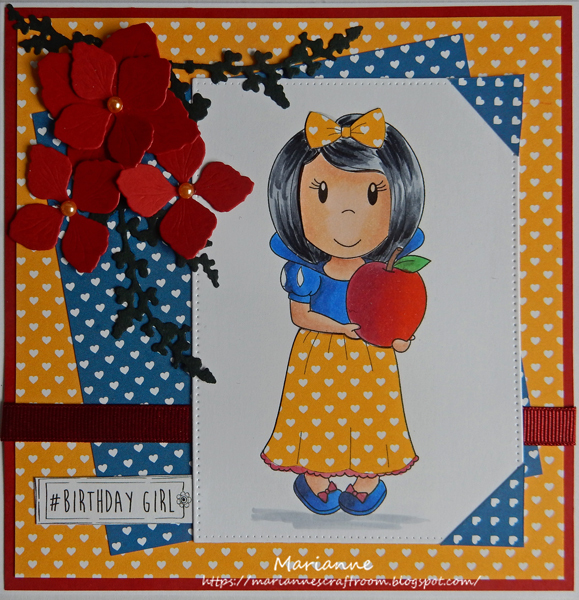 The Background elements were added using various dies in my collection as well as the basket and apples. 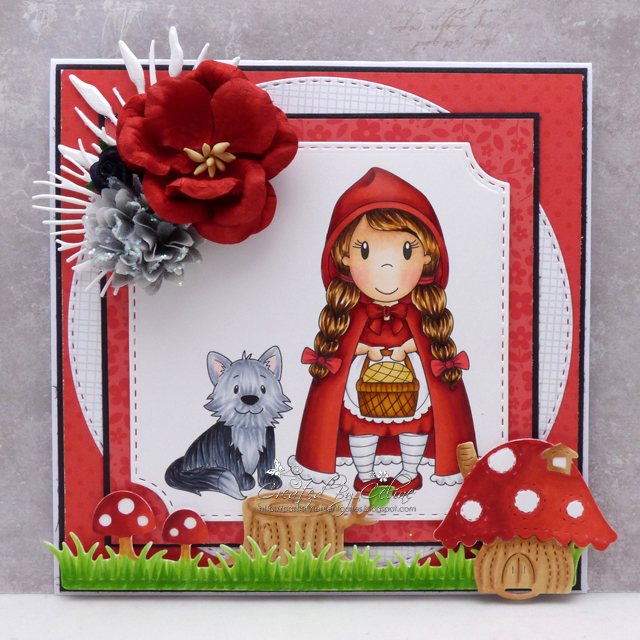 And today I'm sharing a card using one stamp from the AMAZING Fairy Tales collection, you can see all the stamps here in the shop. 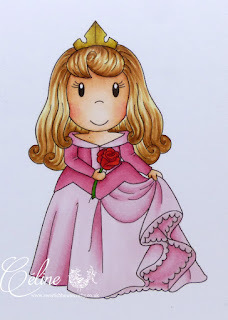 So, here is a card I made using Sleeping Princess that you can find in shop here. Hi, Tiziana here with my first post for Swedish House Crafts, and today I've made a new page in my planner. 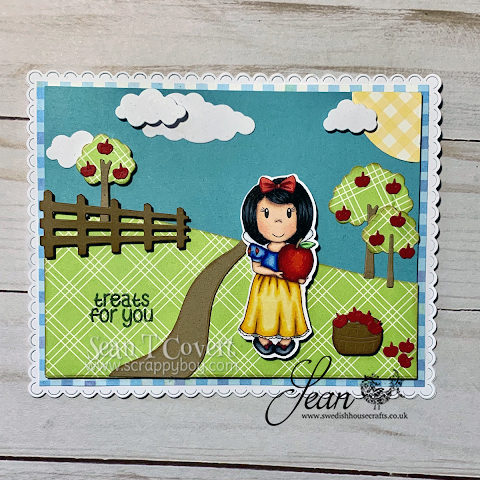 I used the stunning Magnolia Stamp "Xoxo Tilda" from Hugs & Kisses collection. 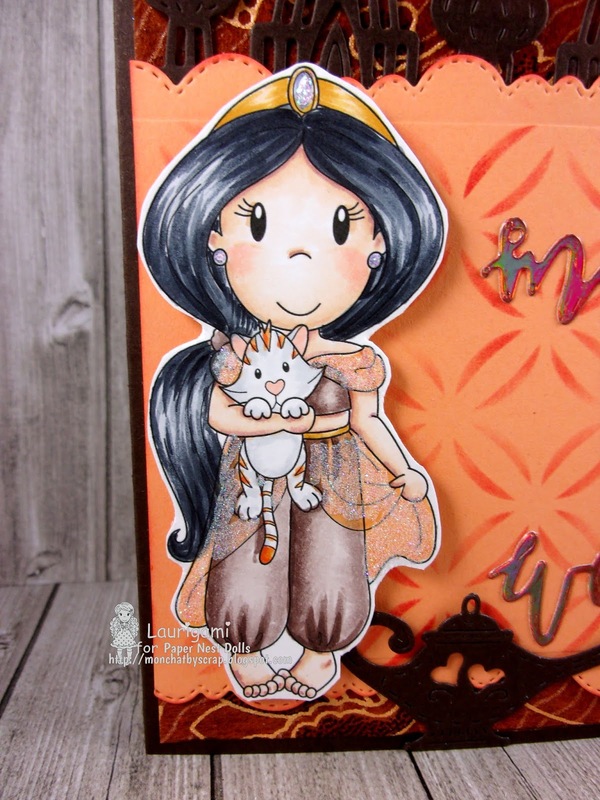 I used my Distress Ink to colour her. The paper chosen is Laserowe Love, the name of collection is Love Llama, then seeing that I love mixing the paper I also added a sheet of Maja paper to the design. 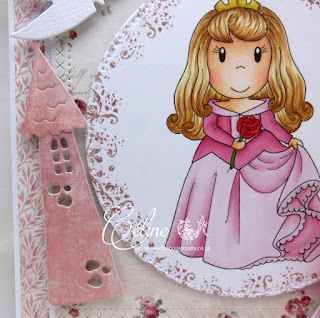 The dies I chose are from Magnolia, the tags you see are part of the card collection then I added ephemera. Finally to embellish the whole thing I put some ribbon, rhinestones, a writing in chipboard, little flowers and finally I made the fake stitched seams. I wish you a happy Easter, I hope you enjoy my project. 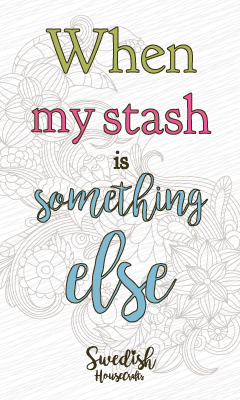 You can find my personal blog here. 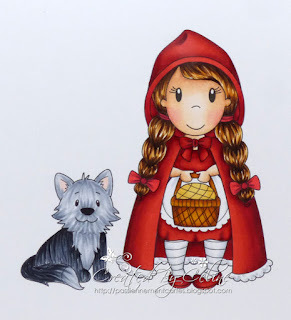 So, here is a card I made using Riding Hood Lulu that you can find in shop here. 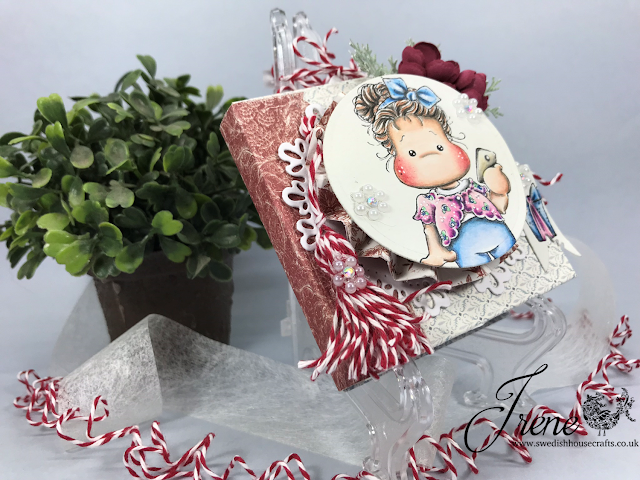 Hi, Irene here, and today I´ve made a Little Book using the stunning Magnolia Stamp "Selfie Tilda" from Hugs & Kisses collection. 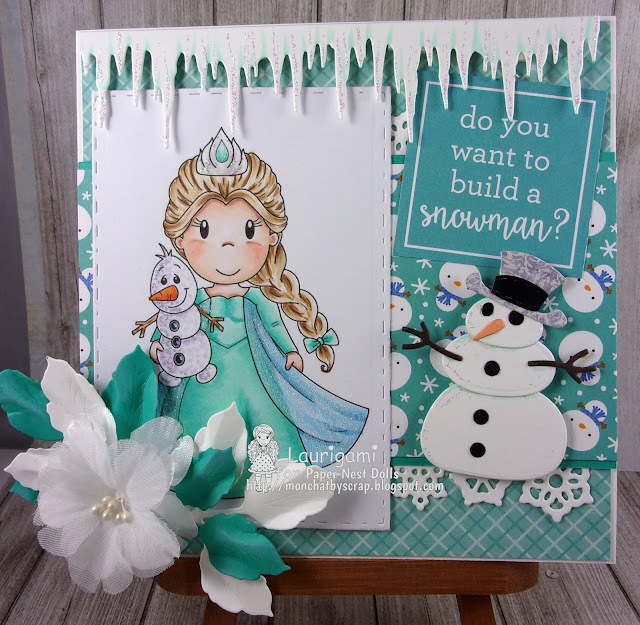 I use my prismacolor pencils to colour her, and I use the beautiful "Joyous Winterdays" Collection from Maja Design. 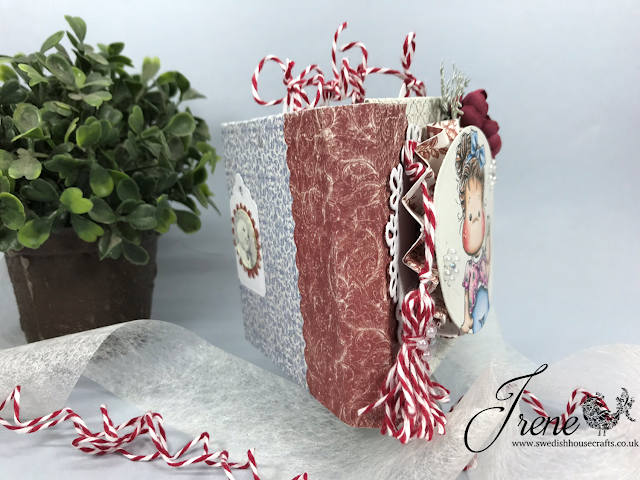 Here is my project, I hope you´re like it!!! I've made my flowers with Foamiran - Red, using the gorgeous dies from "Lady E Dies", the "Flower 004" and it is so easy to use. With Foamiran you can choose any colour you like to make your flower, creating them to your style. Thank you so much stopping by!!!! Today Sabrina is here today with her new card designed to send Best Wishes to her child who turns 11 today!! Hi guys, I want to show you some Foamiran flowers I have created using Lady E design dies 002. 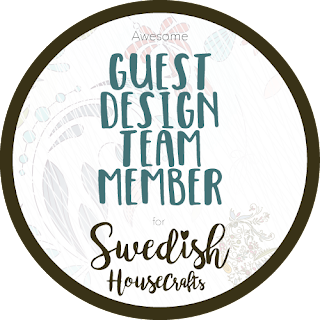 You may have previously seen them on a post about Foamiran which Swedish house Crafts posted on the 4th of April. I used Lilac 0.6 Foamiran for the flowers, using the Foamiran lilac colour for the centre's and colouring the petals with some soft pastel. To make these flowers I simply cut a strip of the Foamiran about 2.5cm wide by 9cm, out of Lilac 0.6 Foamiran for each flower, I then cut down along the length about 1.5cm with some scissors (Fringe type stamen). Then glue one end of the strip to some floral wire and wind round the wire until you've wound round about five or six times. Cut off the excess length if you have any left then add some glue to the end to finish it off. Take some petals previously coloured with some sort of medium. 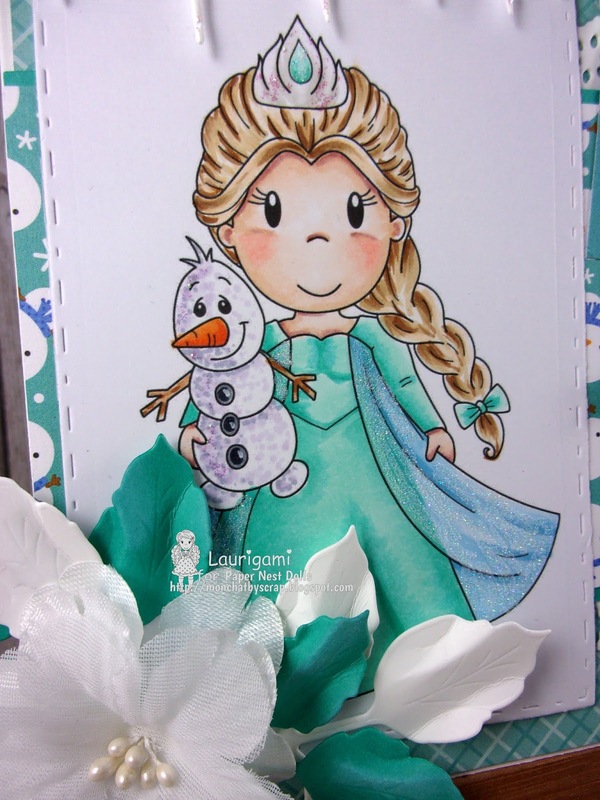 I used Soft pastel for mine as I said but you can use, oil pastels, ink pads etc. Take one previously coloured petal at a time and scrunch the tops of the flowers between your fingers for a few seconds ( do this for all the petals). Using the 2nd from the smallest sized petal for the smaller flower, glue one petal at a time around the fringe type stamen, overlapping the petals slightly, you will use around 4 or 5 petals depending on the size of your centre fringe. Next glue one layer of petals using the 3rd sized petal from the smallest around the petals you've just glued on, alternating the petals and slightly overlapping as before, around 5 petals, this creates a bud like flower. I then added a hand cut Calyx using Olive Green Foamiran coloured with a little soft pastel on the ends. The larger flower is made in the same way, but I used the 3rd sized petals from the smallest for the centre petals and the 4th /largest size for the outer ones. Again I added a Calyx on the bottom of the flower. As you can see on this photo they can be used with the floral wires still attached for a floral display. Use some floral tape around the wires to finish these off. On the photo above I have simply cut off the floral wires and hot glued them to an altered MDF banner by Laserowe Love. I painted the MDF banner with some white Gesso, then went over with Finnabair Impasto paints. When dry I used some handmade texture paste and a stencil to add some script. I let this dry then went around the edges with some crackle paste. I added a layer of Sisal to the middle of the banner then glued the flowers in place on top. To finish this off further I made some leaves from the 002 design dies. Using the two sizes from the set out of Olive Green 0.6 Foamiran, I glued two of the larger leaves either end of the banner then used the smaller leaves in the middle. 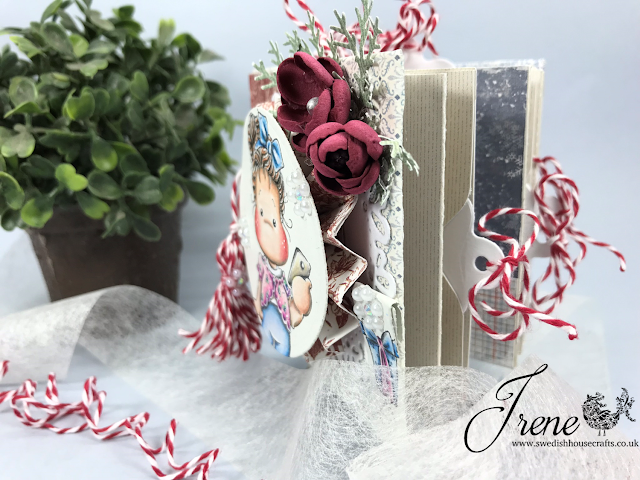 So as you can these flower dies can be used for different sized flowers, buds and also in a floral display or as an embellishment on a project. 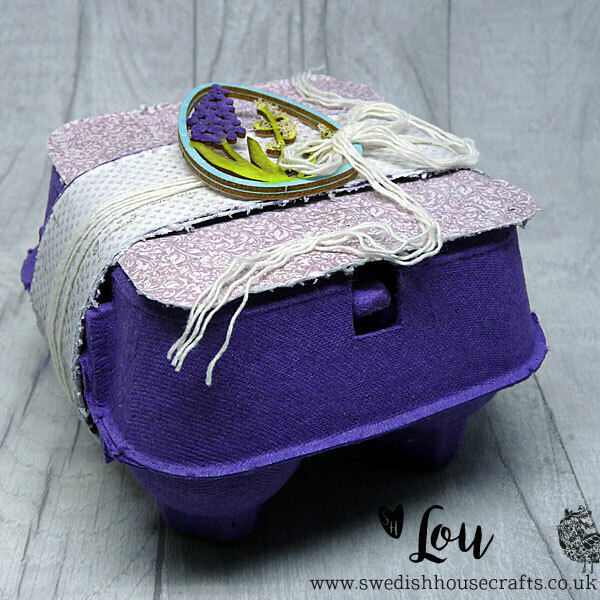 It's Lou in with a post for you today and I wanted to share the divine little Laserowe Love Yellow Spring 5pcs Easter Eggs I've been playing with. I can't tell you how lovely these are. They might be for Easter, as I've used them for today's post, but I really feel like they are beautiful all year round, with those beautiful flowers in the centre. 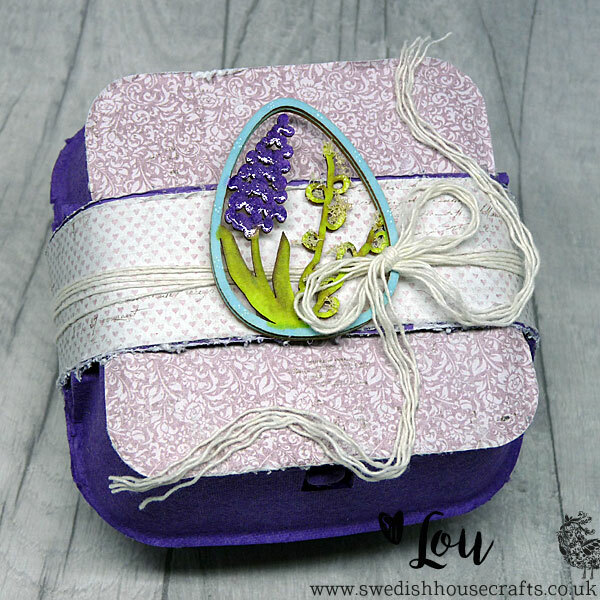 I'm working on the wispy branch one next so I'll share that in our fabulous Swedish House Crafts Crafters Lounge over on facebook! 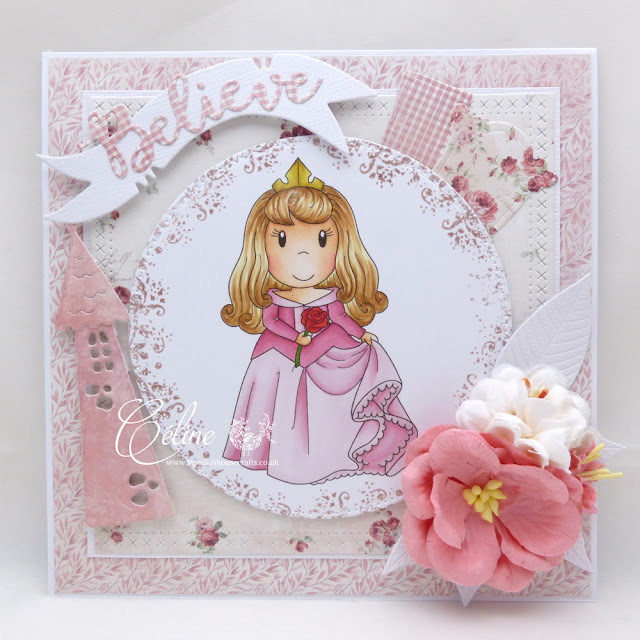 don't forget to click on the link to join us if you are not already there because we get to peek at makes and inspiration early in there! Let's take a closer look at this little egg. It's so pretty. I used two of the eggs in the set and then glued them together once I had coloured them. I love that staggered dimensional effect doing it like that gave. I simply coloured the little chippie egg cuteness with my promarkers. The surface of the chippies is lovely and smooth and you are able to blend your normal colour sets to get the shading which I love. 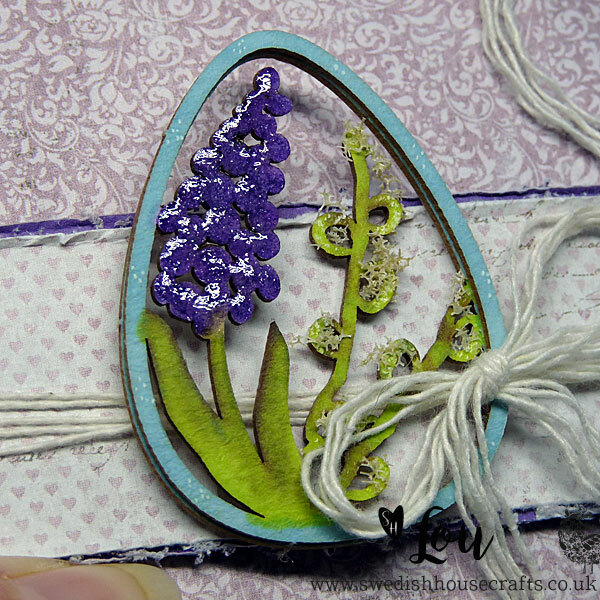 I added a teeny squidge of flowersoft from my personal stash to the little branch egg and one the flower one, I added a little purple glitter and glossy accents to the flower head to finish that off. It looks so pretty. The beautiful gentle purple papers are from the Maja Design Vintage Romance 6x6 pad. 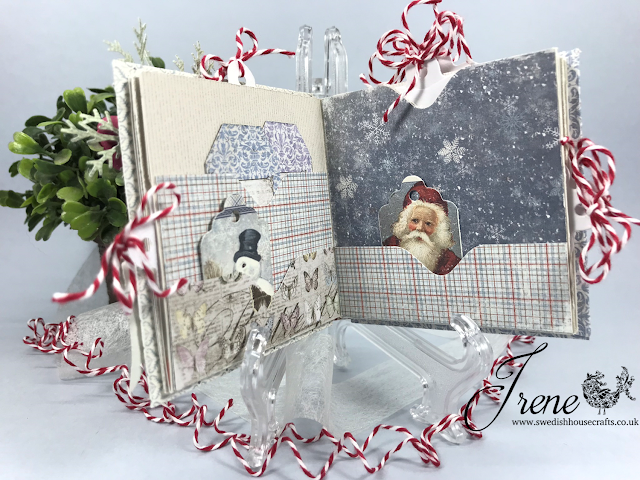 They are so delicate and I really struggled to actually use them after much stroking and telling myself how they needed to be used, I distressed the edges with my scissors and glued them to the box!!! he he!!! I added a little twine that I threaded through the egg chippie before I tied the bow just to keep everything flowing. I used a little bit of clear glue to position the ends of the bow on the box. The little box of chocolate eggs you can get from lots of shops so quick, go buy some and have fun decorating it for Easter!!! Laserowe Love Yellow Spring 5pcs Easter Eggs. 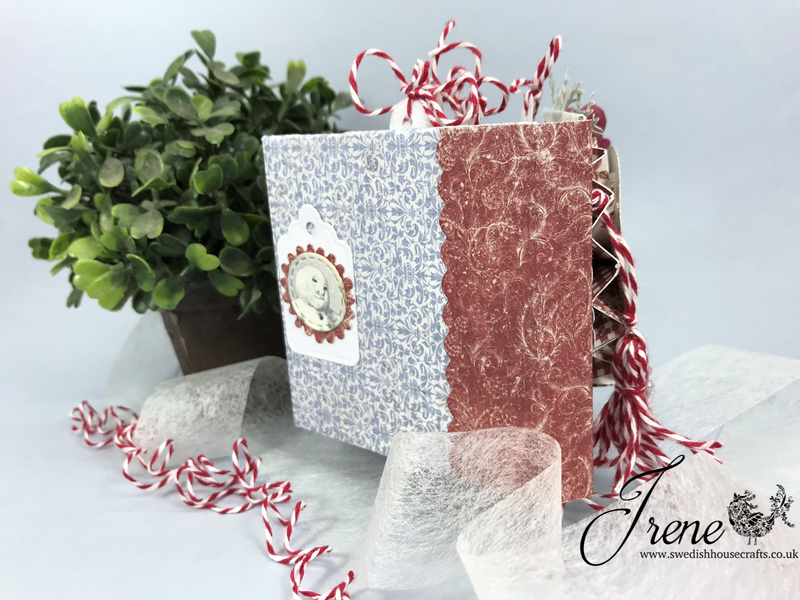 Maja Design Vintage Romance 6x6 pad.